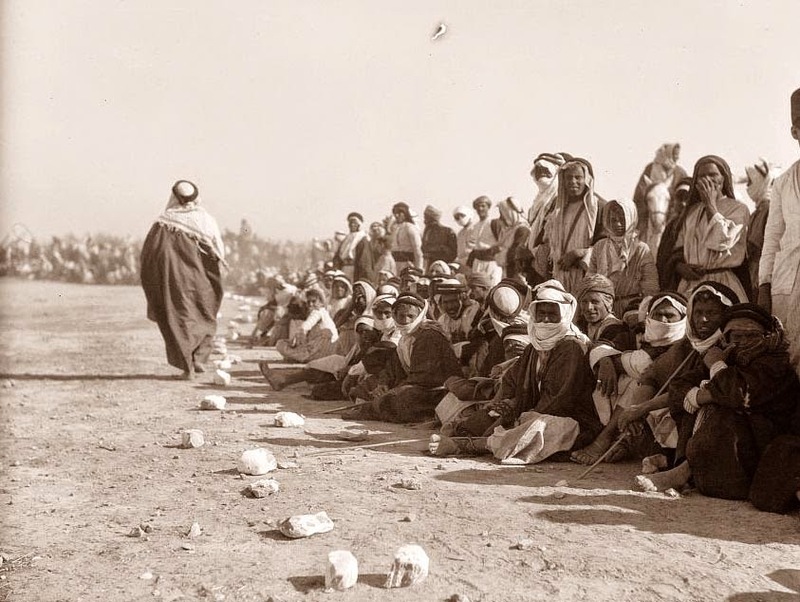 Today's picture shows a large group of Bedouins celebrating. They are celebrating the end of the recent Locust Plague. The picture was taken in 1930 near Beersheba. It looks like quiet a large crowd of people.